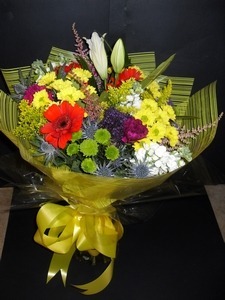 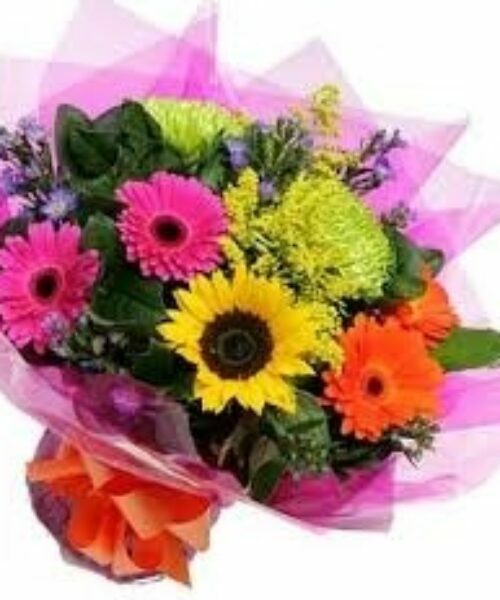 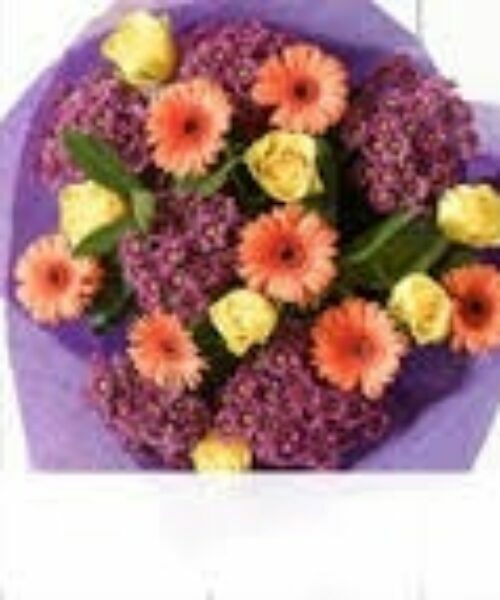 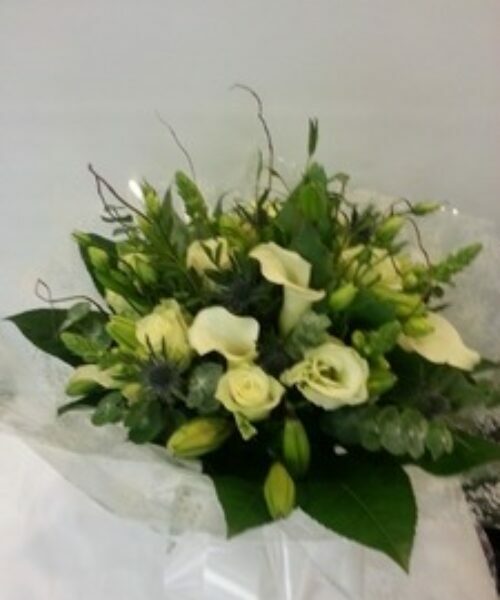 A Florist choice floral bouquet of seasonal flowers in a choice of colours. 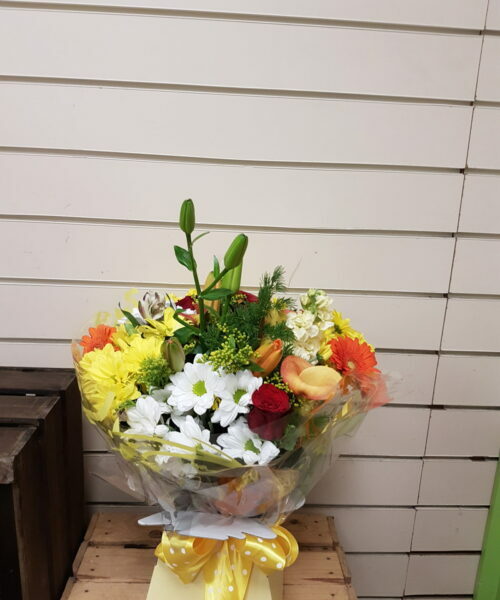 Please note some of the flowers shown maybe exchanged for other flowers due to availability, where our designs include a sundry item like a basket or vase, it may not be possible to have the exact product as shown, we will however replace this product with something similar. 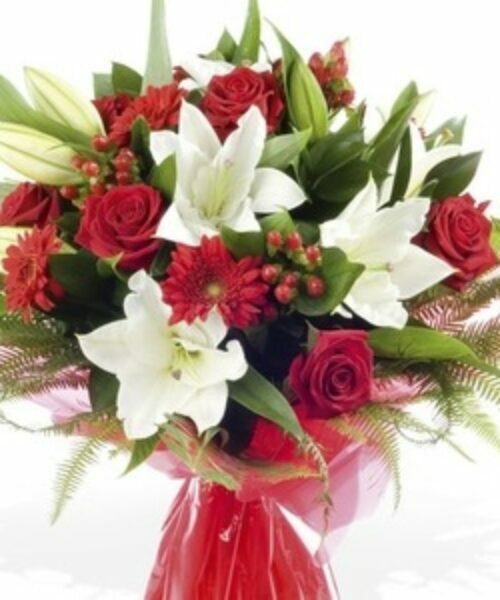 In size and value.